As a non-profit, we are funded solely by donations, grants, and bequests from generous people like you. 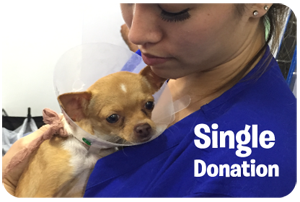 Without your support, we would be unable to fulfill our mission. 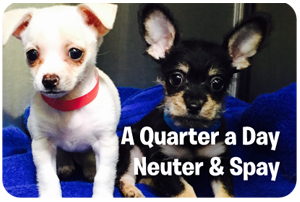 With our goal to support mobile spay/neuter and adoption mobile clinics, we can really make a significant dent in pet overpopulation. 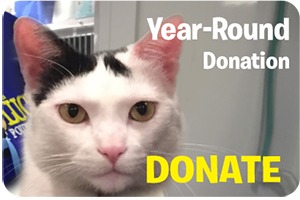 Your donation will be used to prevent over 15,000 homeless animals from being euthanized alone within one community during the first year, and by year three it is estimated that we can prevent over 500,000 animals from suffering in that same area. 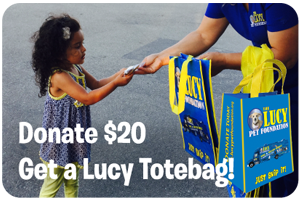 *Contributions to The Lucy Pet Foundation are tax-deductible to the extent permitted by law. 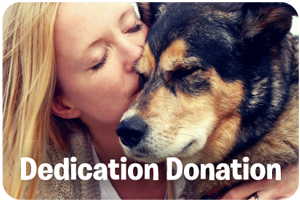 The Lucy Pet Foundation tax identification number is 26-4448238.